I had a fun and full day at SELWG this last weekend and was enjoying it so much that I ended by being booted out by security at the end of the day when traders started to pack up. The highlight for me was the Aeronef game using the excellent models from Brigade Models in the UK. 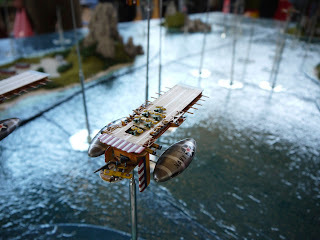 I also had some fun chatting to various people about Gruntz including GZG and The Scene. 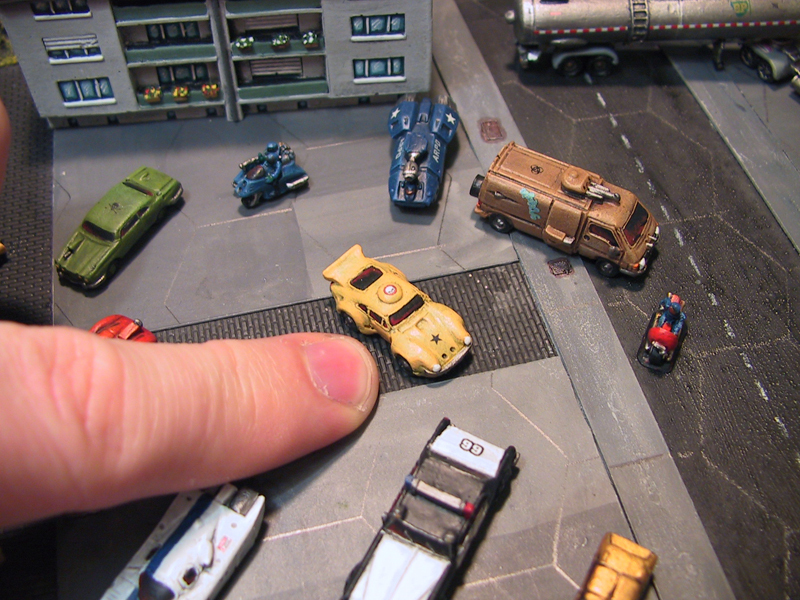 The only problem I had with the show was the lack of 15mm SCI-FI games. 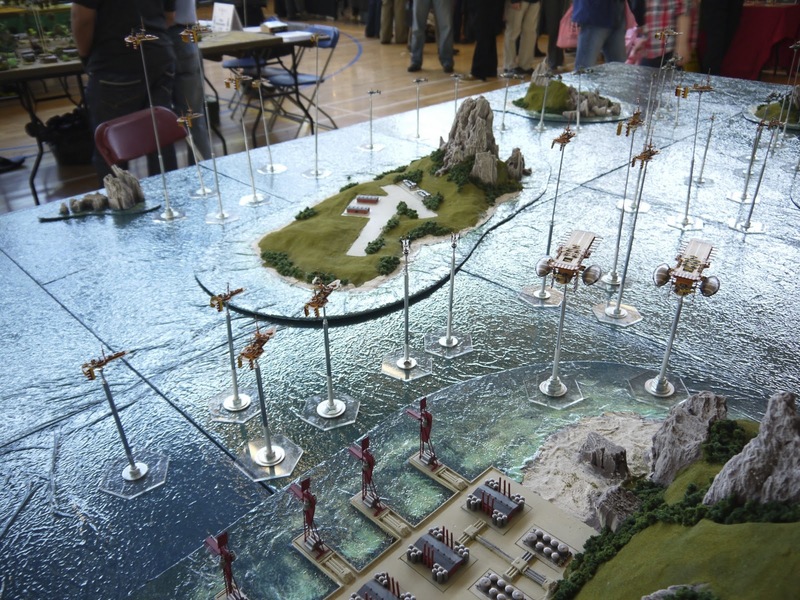 I had tried hard to get a place as a demo but the show organisers said they had reached the limit for SCI-FI games this year so I was in attendance in my public capacity. It did give me more time to meet people though, because running a demo game does tend to take up all your time. Just this last week I completed a new video update which has detail on the new 15mm Mecha for Gruntz, new Art Crime Models (Port Reliant Mercenaries) Some GZG modified vehicles, a Bushido demon and the resin cast tanks created by TerrainProject in Australia. I also briefly discuss some of the new single model plastic miniatures from Games Workshop. For those interested you can find the Aeronef Rules on the Wargames Vault site (the same place you can buy Gruntz). 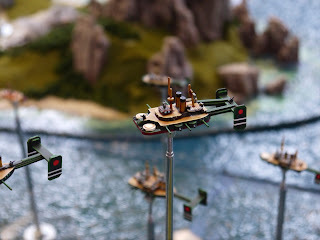 They are an excellent aerial combat game with support for fighters and the full range of models from Brigade. 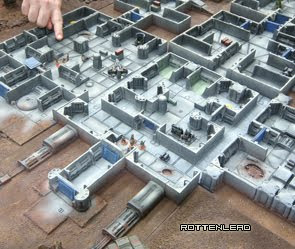 Like Gruntz it is a niche game and not widely known about beyond the fringe of gaming but well worth investing time in due to the fun well thought out rules and extensive miniature line. I have also added a couple of Links to the blog this week with The Shell Case and Miniature Musings of a Bear both added to the great links section and are well worth the time reading their updates on miniature gaming. If you are a blogger interesting in Gruntz please drop me a comment on here or Twitter, I would be happy to setup a reciprocal link. great video, love your hobby room, did I see a DP9 drone in there somewhere? what are you going to use them for? I have some and will be using them as section support weapons for my mekanoids. Thanks Dan, yes it is a DP9 model which will be a Specialist support weapon in Gruntz. 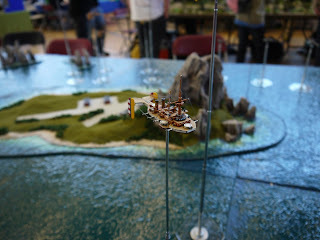 I love aeronef stuff, but no one nearby has shown even a passing interest in gaming with it.